SInce I became a plastic surgeon twenty years ago, the field of skin rejuvenation has changed radically. It has grown from a position where the large market was dominated by cosmetic companies selling their products in drugstores and department stores to one that has been greatly influenced by scientific advances in the dermatology, biochemistry and plastic surgery. There are products today that if used appropriately and consistently can greatly improve the texture and color of skin as it changes over time and from external forces such as the environment and lifestyle choices. One of the reasons I am one of the medical directors at EpiCentre skincare and laser center is that I want to remain on the forefront of the changing landscape of skin rejuvenation. I firmly believe that making changes as simple as using a sunscreen on a daily basis will greatly benefit you down the line – from a health standpoint as well as an aesthetic standpoint. The revolution that injectables has brought to plastic surgery in general has benefitted my patients. 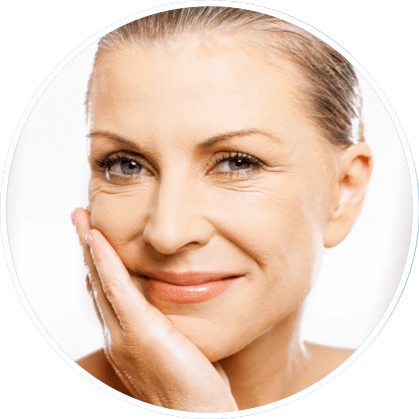 I am able to use products such as Botox, Juvederm, Radiesse and Restylane to offer my patients beautiful, natural results that enhance their image, self confidence and subsequently their quality of life. While these options do not enact permanent results, they are available to a larger group of people because they are an economical option – in terms of dollars and recovery time – in contrast to cosmetic surgery. Frequently they allow patients to wait longer before undergoing a major facial rejuvenation surgery and they have the added bonus of enabling people to get a sense for how much they would enjoy the results of cosmetic surgery. New lasers are introduced to the market with amazing speed and “old” lasers (still less than a few years, but ancient in this field) are constantly being improved, re-calibrated and fine tuned to produce better results with less risk and recovery time. EpiCentre is one of the nation’s leading testing locations for new lasers so we truly do have access to the newest and the best. In surgery, I am able to provide my patients with a skin rejuvenation laser by Fraxel called the Re:pair that does an incredible job of improving skin texture, tone and the appearance of fine lines. I am excited that at this point in my career I have the resources and expertise to safely guide my patients as they navigate the huge market of skin rejuvenation. We have truly come light years in a short time. I encourage you to visit with me about the various options I have for you. Doing injectables such as Botox or Juvederm is something that I enjoy and am happy to find time for. At EpiCentre, we have skilled medical estheticians to guide you in your skincare product selection. If a product is not proven to be safe and effective, we do not carry it. And the product lines we carry are, for the most part, exclusive to physician distributors. While we provide our patients with an opportunity to look through before and after photos of actual skin rejuvenation patients during their consultation with Dr. Hobar, we urge our visitors to view our interactive before and after photo gallery while visiting our website. If you have any questions about skin rejuvenation please send us your questions or call our Dallas office directly at (214) 823-8423. If all of your questions have been answered and you feel confident about taking the next step towards a successful skin rejuvenation procedure you should schedule a consultation with Dr. Hobar today!